With the new Slow Juicer, you can prepare superb fresh juices, enjoy natural flavours, and brave the colder months. Apple and ginger, kale and banana, or celery and kiwi – the juicing food trend keeps taste buds on their feet and is also a great way to boost your health for the approaching winter. Not only do freshly-pressed juices contain many natural vitamins, minerals, enzymes and dietary fibres, they are also free from industrial additives and can be quickly absorbed by the body. The new Slow Juicer SJ 8640 from Grundig ensures that fruit, vegetable and mixed juices are prepared especially gently, and that the body’s defences start working. In contrast to so-called “fast juicing” with conventional centrifugal juicers, the Slow Juicer operates at a considerably lower rotation speed and does not press fruits and vegetables at high speeds. Instead, the SJ 8640 uses a powerful screw press with a reinforced stainless steel core at 60 revolutions per minute, guaranteeing the particularly gentle preparation of juice. This is not only beneficial in terms of nutrient content, it also produces more juice. This lower rotation speed results in significantly less heat, which means the retention of temperature-sensitive vitamins, minerals and digestive enzymes. Plus, the Grundig Slow Juicer preserves the nutrient-rich fruit pulp and produces more juice than conventional juicers, without generating a large amount of foam. This means the juice in your glass keeps its natural flavours and original colour. Freshly prepared and with no artificial additives, homemade juices are a true wellness treatment for the body: they gently nourish, boost the metabolism, detoxify and regenerate. Can’t choose between fruit or vegetable juice? 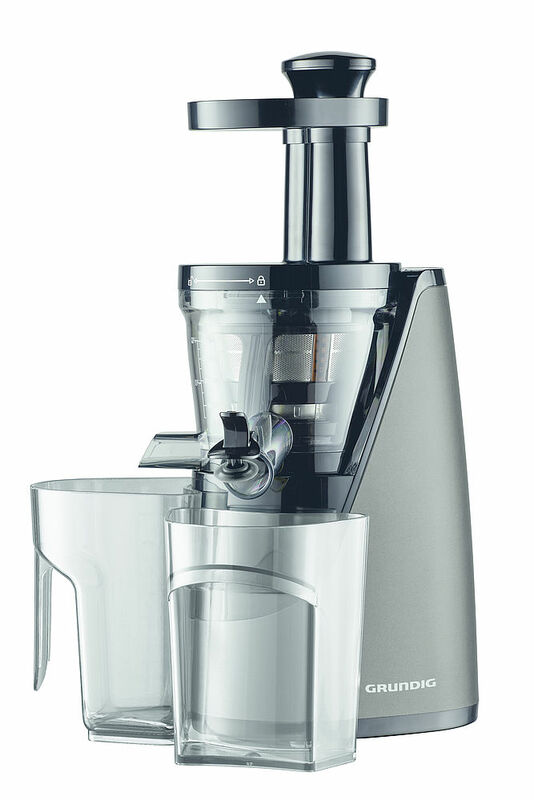 The Grundig Slow Juicer has the answer: as opposed to conventional juicers, the SJ 8640 features an extra programme installed especially for “mixed juices”. 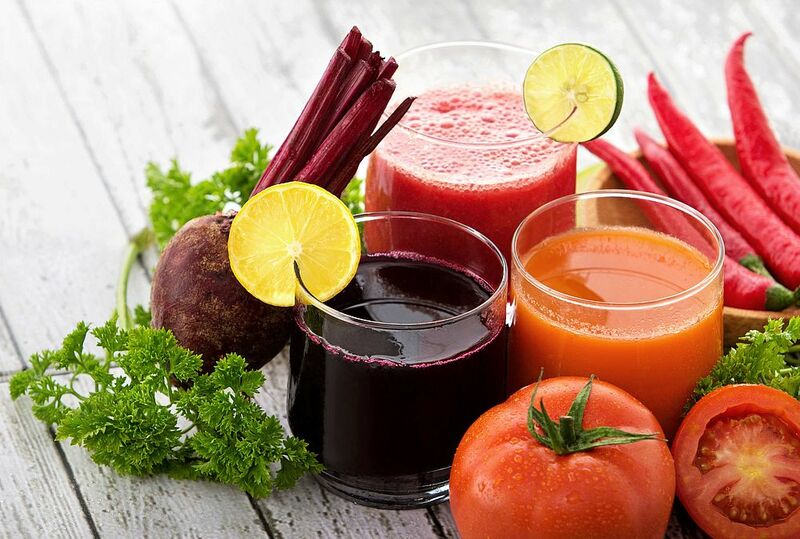 This programme considers the different characteristics of various fruits and vegetables, meaning that with just the push of a button, soft fruits and hard beets or tubers are transformed into delicious juice. Beetroot forms a great basis for various mixed juices, especially in the cold season. It is one of the healthiest vegetables grown at our latitude and can be found at farmers’ markets from the autumn onwards. When combined with apple, orange, carrot and ginger, it is an especially delicious way to strengthen the immune system; together with pomegranate, grapes and lemon, it has a detoxifying and skin-clearing effect. Plus, when refrigerated, cold-pressed beetroot juice stays fresh for up to three days. If you’d like to serve up a dessert or special treat with the taste of berries and exotic fruit, you will love the stainless steel frozen fruit attachment that whips up iced drinks, sorbets and frozen yoghurts in no time at all.